Book: Our book club book this month is “The Nesting Place: It Doesn’t Have to Be Perfect too Be Beautiful” by Myquillyn Smith. Funny, I was researching decorating and pick this book up in the summer. I didn’t read it because it didn’t teach you how to decorate but more about life while decorating. My friend read the newest book “Leaving Time” by Jodi Picoult and I’m definitely going to pick this one up. I love Jodi Picoult!! She is maybe one of my top five with John Hart being one of my all time favorites. 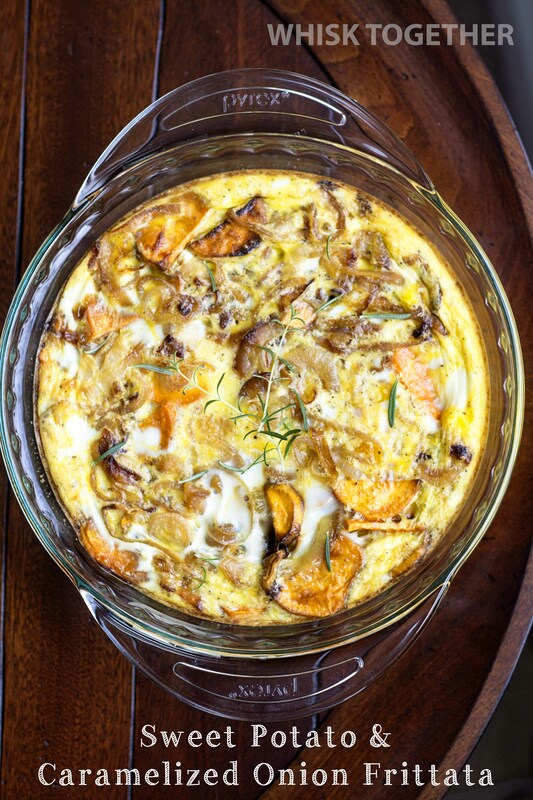 Recipe: Yes, another frittata! Because I was afraid that not everybody would like a fajita frittata and I made this one as well. I like them both and I like having options depending on what is in season or what I get in my co-op produce box. 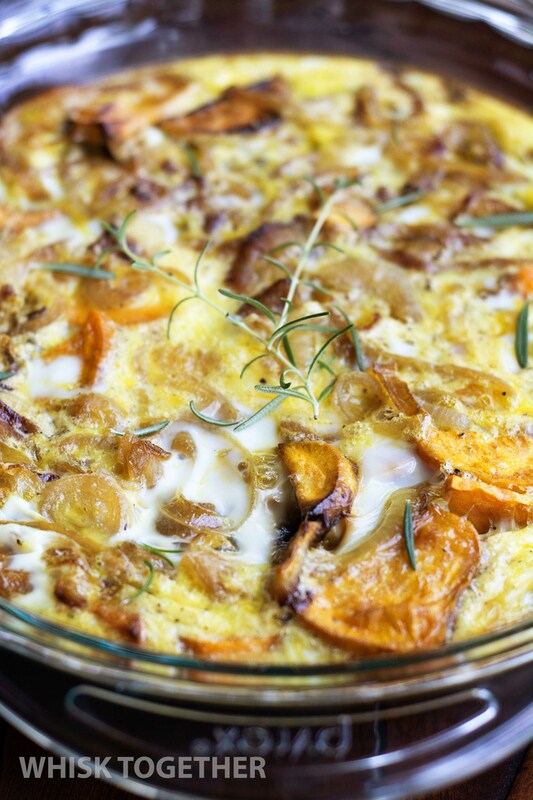 I love the sweet onions and sweet potatoes with a hint of rosemary. It looks and taste very restaurant-like without being fussy or hard to cook at all. In a large skillet, heat 1-2 teaspoons olive oil on medium high heat. Add onions. Cook 5 minutes. Turn down heat to medium or medium-low. While cooking, fold in 1 spring of rosemary. Stir off and on and cook 15-20 minutes. The onions should turn deep brown. Add a sprinkle of salt and remove rosemary sprig. 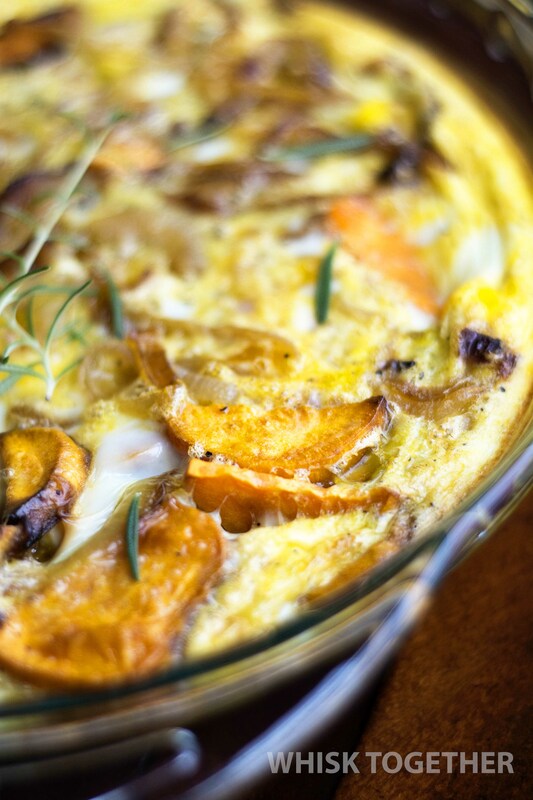 Store the onions in the fridge or move to the next step in making the frittata. Grease a pie plate with cooking spray. Roast potatoes 25-30 minutes. Add onions. 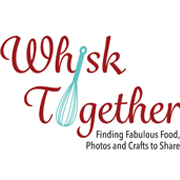 In a large bowl, whisk together eggs, Parmesan cheese, 1/2 tsp. salt and 1/4 tsp. pepper. Pour egg mixture on top of the potato and onions. Bake in the oven for 30 minutes or until the egg dish is set in the middle. Sprinkle with dried or fresh rosemary. Serve warm.